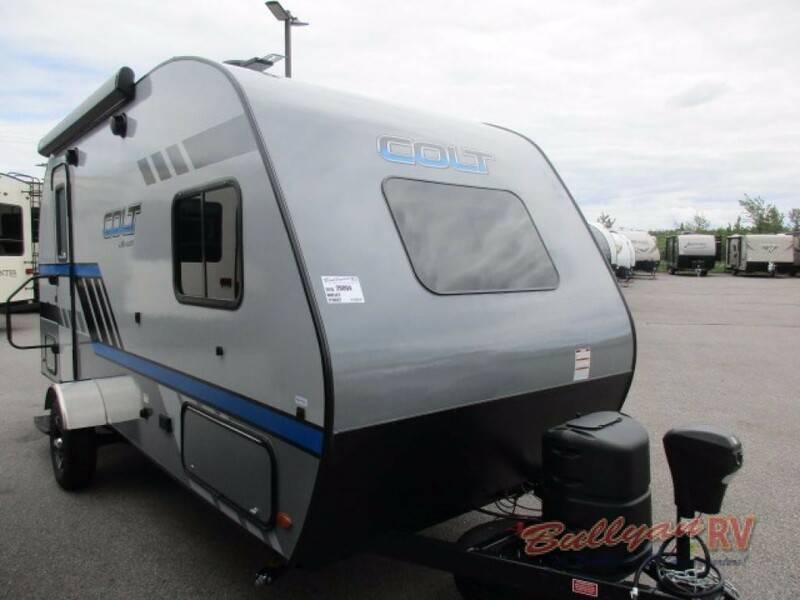 The Keystone Colt travel trailer for sale here at Bullyan RV Center is a compact RV that packs a huge punch! 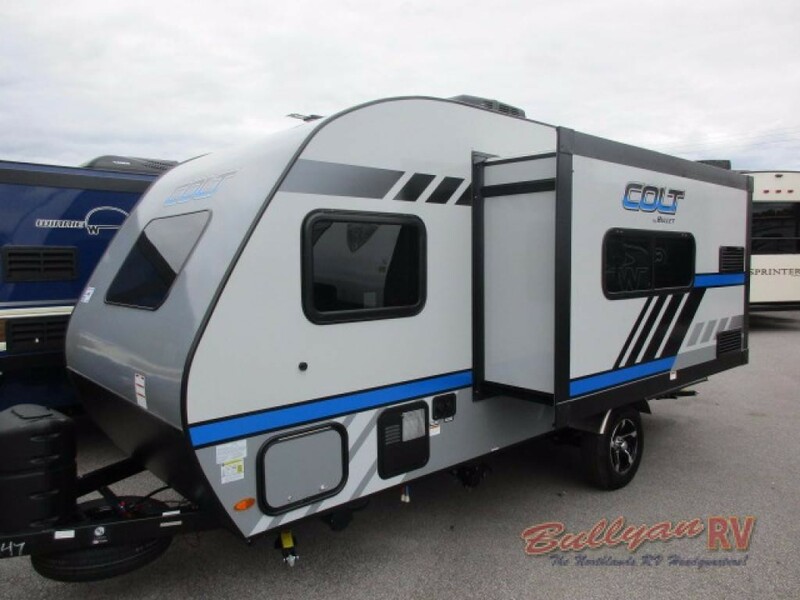 A cozy model that is perfect for those looking for a hassle-free way to experience tent-less camping, the Colt is more than just a travel trailer; it is a simplistic, all-in-one dynamo that will keep you counting down the days until your next road trip. If you want to find out more about the awesome features that you can expect in this travel trailer, check out our complete Keystone Colt travel trailer review. The Colt is intended to be compact and maneuverable, which means that the interior height is only 6’6”. However, Keystone certainly does a lot with that space as they are able to include hardwood cabinetry, wet bath with integrated toilet and sink, interior dinette, and compact fridge. The Colt comes as a true testament to the expression, “big things come in small packages.” It’s simplistic, yes; but that doesn’t mean that it is without some of your favorite luxury RVing qualities. Check out more interior features that you can expect with the Colt. You will love the easy-to-use Colt Travel Trailer kitchen. More of the Colt Travel Trailer exterior. The Keystone Colt travel trailer for sale is so much more than an average travel trailer. It comes with the features that make traveling great, but with a size that will make it easy to tow as well as easy to store. 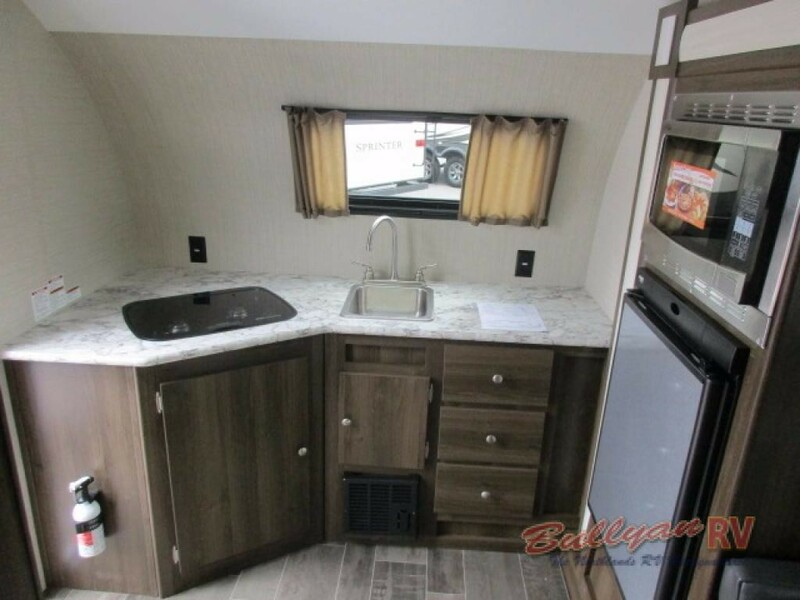 If this is the kind of thing that you are looking for, you will find no camper brand better than these Keystone Colt floorplans. If you have any questions about this awesome RV, you can contact us today for more details. We can’t wait to show you more of what the Keystone Colt has to offer!